Do you have room in your hearts for yet another recipe from my home’s recent Mexican food bender? Being fairly certain that there was no one left who wanted to hear about my intense, heated affair with making Mexican cuisine at home, I was all set to keep this recipe to myself. Enough with the Mexican food, I thought, and, besides, do people really need instructions on how to cook a pot of beans? Well, maybe. 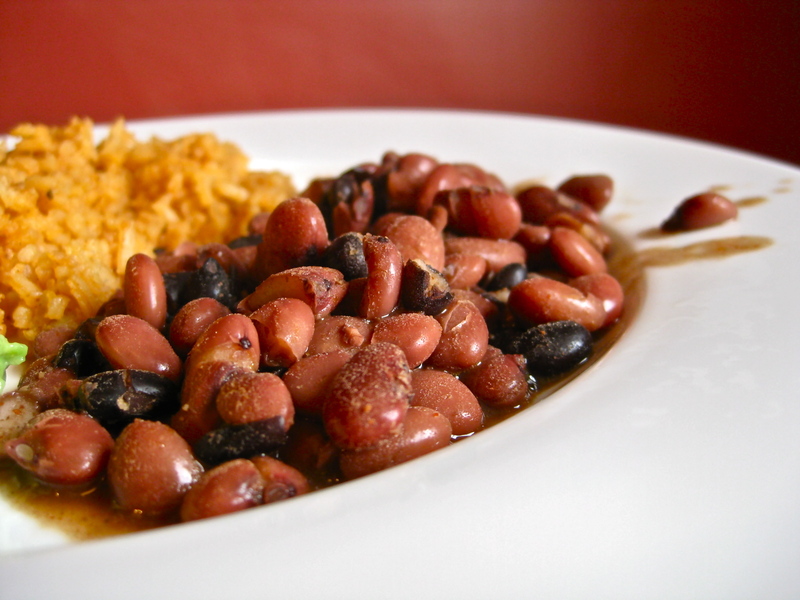 Because it occurs to me that, most of the time, when people want to cook a pot of beans, they do so with a minimal amount of thought in regard to how one can take something as unromantic as dried beans and turn them into a truly savory and pleasing meal. It might have something to do with the fact that, being a simple food, beans are not generally thought of as being a particularly exciting food, which I completely understand. Beans are humble, and definitely fall low on the flash and glitter scale. So I propose a bit of a redo when it comes to thinking of beans. How about we treat them like the unfettered palette they are, and, much like we are prone to do with a potato or a batch of plain pasta, put a little extra love into making them shine? Add some spices, chop some onion, and let those beans slowly simmer until they are soft, flavorful, and satisfying. I have a friend who makes the best chili in the known universe, and one of his not-so-secret secrets is to add a bit of Mexican chocolate to his pot of chili. Chocolate and beans go together like, well, beans and rice, and, with a touch of cinnamon and ginger added into the fold, you can give your beans a subtle hit of the unexpected that, trust me, you’ll want to replicate time and time again. Another tip? 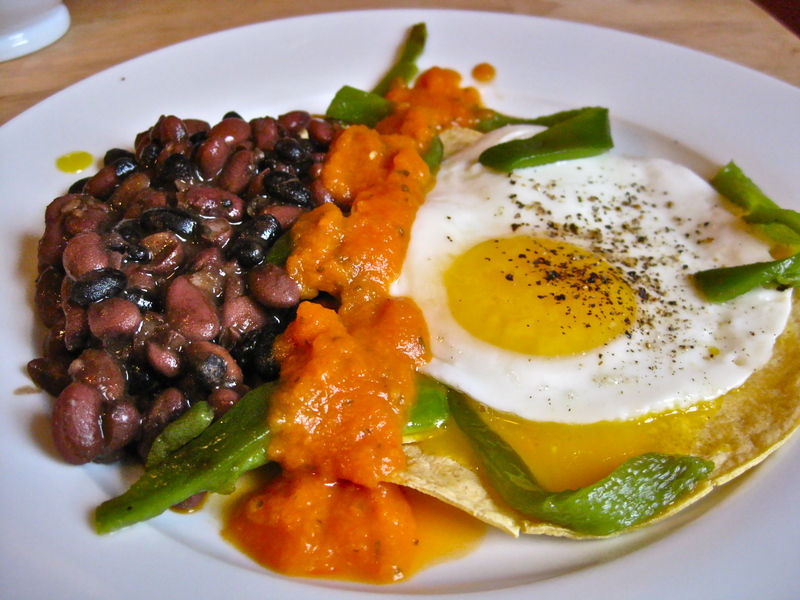 Think beyond a plate of beans and rice (though, as I have mentioned, we certainly don’t turn up our noses at beans and rice), and use your slow cooked beans to build a delicious plate of huevos rancheros. A little roasted pepper here, a bit of ranchero sauce there, and you’ve got the makings of one special breakfast (or lunch…or dinner…I mentioned that I was on a huge Mexican food kick, right?). I learned a little while ago that the secret to really soft beans with no disagreeable after effects (ahem) is to add a bit of baking soda to the beans while they are cooking. The baking soda breaks down the skins of the beans, making everything incredibly soft without being mushy. As an added bonus, adding baking soda to your beans will eliminate the need to soak the beans overnight, which I am terrible at remembering to do, so I never do it. Also, I don’t have a slow-cooker, but I’ll bet this recipe could easily be adapted to one so you could toss everything in first thing in the morning and then have everything read to go by the time you get home from work. If anyone tries it out, let me know how it goes. In a large pot, combine beans and water. Bring to a rapid boil. Lower the heat to a simmer, then stir in baking soda. The water will foam up vigorously. Keep stirring until the foaming subsides, then add the onions, garlic, cumin, chili powder, ginger, cayenne pepper, cocoa powder, Mexican oregano, and cinnamon. Stir to combine. Bring mixture up to a simmer, then cover and cook for 1 ½ to 2 hours hours, stirring occasionally. Add salt and pepper, stir to combine, and taste for softness. 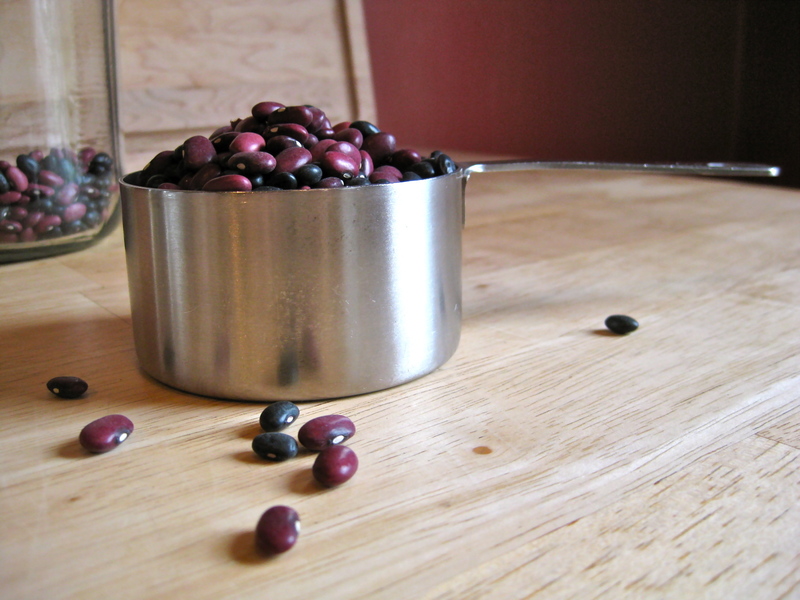 If you find that you want your beans softer, cook for an additional 30 minutes. 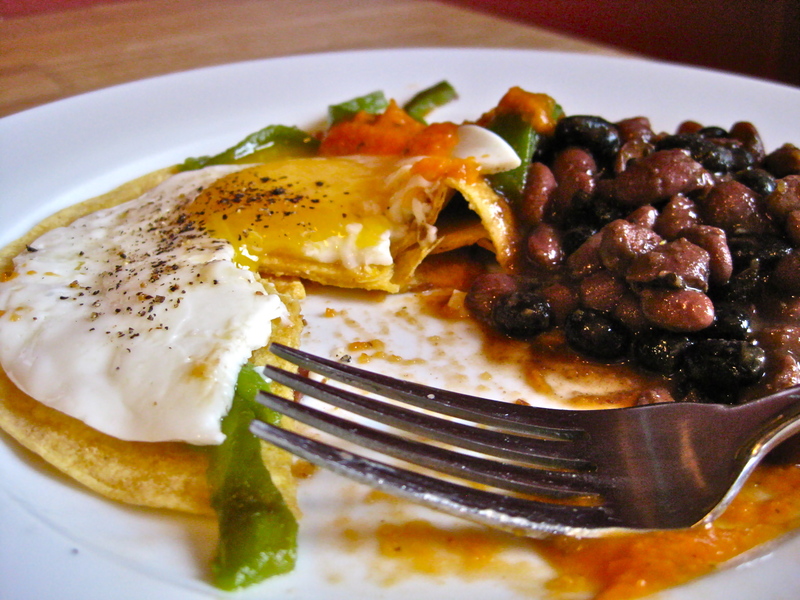 This is our basic method for making 1 serving of huevos rancheros. You can, of course, double or triple it as you wish. Heat your oven’s broiler on high, and place an oven rack on the highest setting. 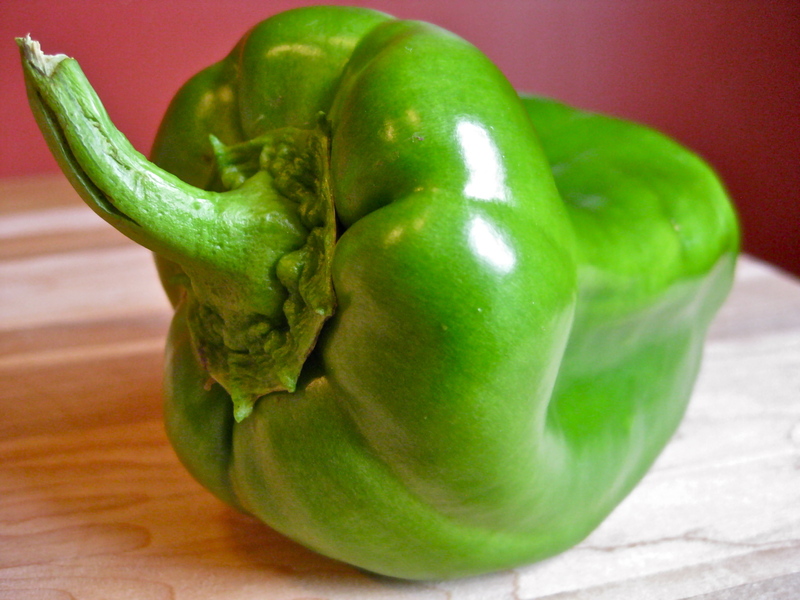 Place pepper on a baking sheet. When the broiler is hot, place the baking sheet and pepper directly under the broiler, and roast the pepper until the skin is uniformly blistered and blackened, turning the pepper for even roasting, about 5-7 minutes. Remove the pepper from the oven, place it on a plate, and cover the plate tightly with foil, allowing the pepper’s skin to steam free while it cools. When the pepper has cooled enough to handle, peel off the blackened skin, remove the stem and seeds, and slice the pepper into narrow strips. Set aside. In a small skillet, heat oil over medium low heat. When oil is hot, gently fry the corn tortillas, one at a time, until it is soft and pliable, about 20-30 seconds. Remove tortilla to a plate, and crack the egg into the pan. Fry the egg until it is as done as you like it (I like a runny yolk but a firm white). Place cooked egg on top of the heated tortilla, and sprinkle with roasted pepper. Adorn your huevos rancheros with slow-cooked beans, ranchero sauce, or salsa. Good to eat at any time of the day. Hi!! I took up the challenge and made Slow Cooked Beans in the crock pot today. This is how we always cook beans – and we eat beans often. But I followed your recipe exactly – except for adding the soda when the beans were not quite boiling (I wanted to get busy with other things, and the crock pot takes a long time to boil!) and I added a chipotle pepper. So . . . they are divinely spiced, superbly seasoned. Next time I would reduce the water to 6 cups which is my usual with 2 cups of dry beans. I think the crock pot doesn’t boil as much liquid away. (Crock pot is always covered.) 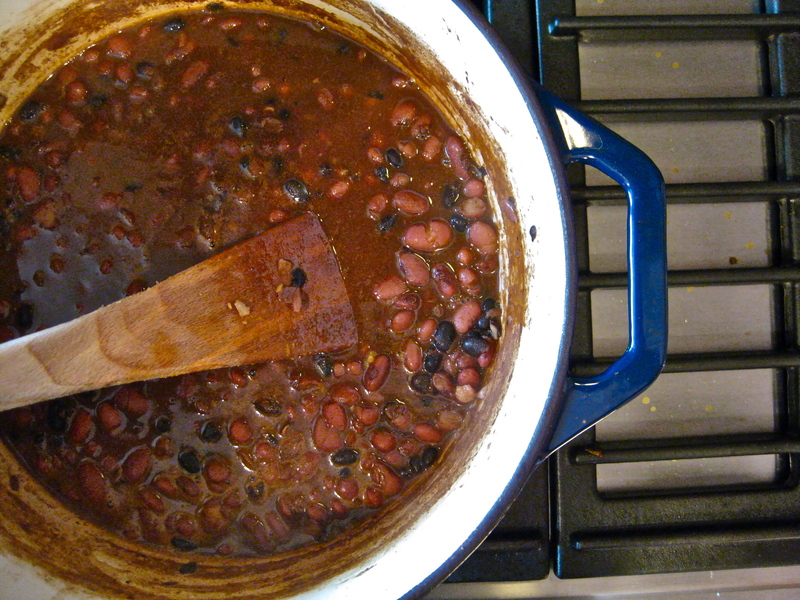 The soda (or something) made the beans cook/soften quickly – they were certainly done in 6 hours with no soaking. Even the one chipotle made them too hot for me, but I think most people would think they were just right (I’m a wimp). The smoky-ness and the mysterious richness of the cocoa just asked to be in the same pot. The chipotles were jumping up and down in their glass jar, I swear. So, thank you!! 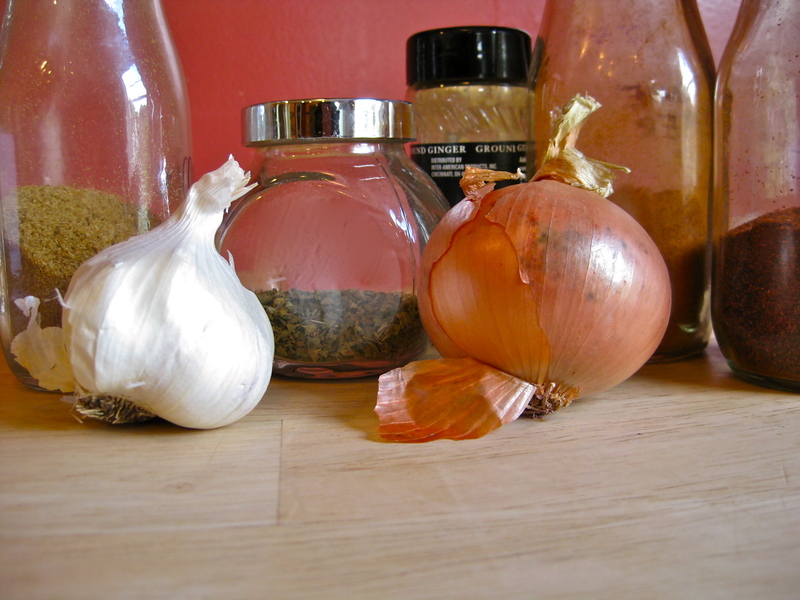 for this recipe, for new ideas for good standby food!! Nancy–I am glad you tackled this in the crock pot and reported back! I think your crock pot version contains some super helpful information. Thanks so much!